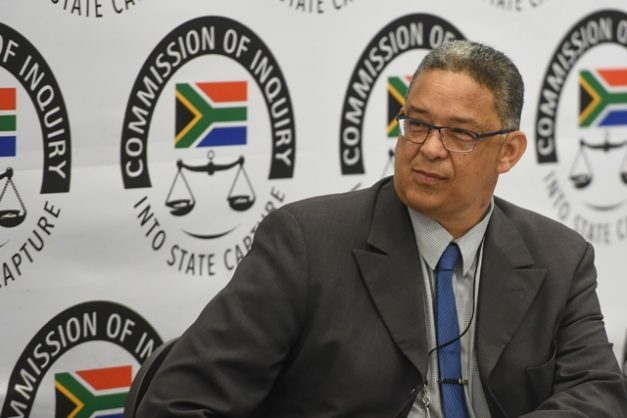 Former Independent Police Investigative Directorate (Ipid) executive director Robert McBride on Monday told the commission of inquiry into state capture that during his almost 18-month suspension, at least eight or more senior managers within the directorate were affected by restructuring, transfers, dismissals, and appointments. Last week, McBride also told the commission that Ipid was made dysfunctional through appointments, dismissals, and the transfer of officials. Israel Kgamanyane was appointed the acting executive director while McBride was on suspension. “One of the first decisions taken by Mr Kgamanyane was to terminate Ipid’s brief to lawyers to challenge the minister constitutionally, so immediately that brief was withdrawn,” McBride said. He told the commission that one of the first decisions that Kgamanyane took as acting executive director was to ensure that Ipid did not act in the interest of protecting its independence. McBride said Innocent Khuba and Matthew Sesoko, were both suspended and charged alongside McBride on May 21, 2015, by Kgamanyane on instruction from Nhleko. He said there was a recording of Kgamanyane as well as a transcript of the recording that could corroborate that Kgamanyane had been instructed by Nhleko to suspended Khuba and Sesoko. The commission adjourned for lunch just as McBride would delve into the “bizarre transfers” which took place during Kgamanyane’s tenure at the Ipid.